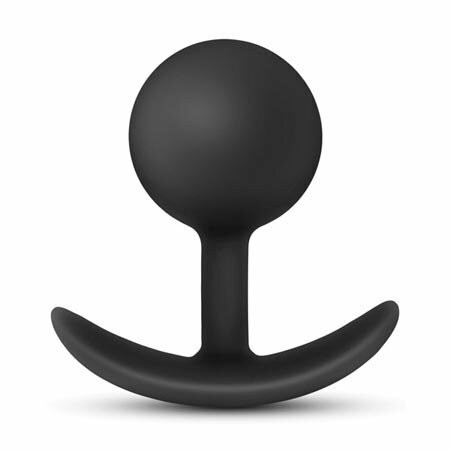 The Wearable Vibra Plug features a moving ball inside the round body of the plug, so that when you move, you can feel the ball rumbling around inside! The curved T-base of the plug makes for comfortable wear, and the long narrow neck helps the plug stay put. Coated in soft-touch silicone. 3.3" total length (2.8" insertable) x 1.8" at widest point. 2.5 ounces.